Meadhbh Bolger is a resource justice campaigner at Friends of the Earth Europe. The bioplastics market is growing rapidly, and EU lawmakers are taking the first steps towards regulating it. But bioplastics are already damaging the environment, and the pressure is on the Parliament and the Commission to not repeat the mistakes of the biofuels saga. In January, MEPs voted to promote bio-based plastics in packaging as part of their review of the waste directives. The European Commission also dipped its toes into the regulatory waters by publishing a roadmap ahead of its Plastics Strategy, which will focus on shifting plastics production away from fossil fuels. It is vital that they get it right before the market grows even larger. But what exactly are the problems with bioplastics? Your local café has probably started selling food and drinks in biodegradable or compostable packaging. They promote their “green” and “sustainable” credentials. Customers are happy and believe they are doing the planet good. Green sells. Like biofuels, the idea behind bioplastics seems simple: the oil used to make them is derived not from fossil fuels, but is instead produced by plants. A classic example is the Coca-Cola PlantBottle, which is made from 30% sugarcane ethanol, and which the company claims has “helped boost sales” and “can be used as an effective marketing tool”. Unfortunately, the green credentials of bioplastics are far from straightforward. The term “bioplastic” is complex, and difficult to explain on a bottle label. There are bioplastics which are “bio-based”, i.e. partly or fully made from plant biomass, and which can be designed to be biodegradable, recyclable, or neither. To make matters even more complicated, even “biodegradable” doesn’t mean what it sounds like here – biodegradable plastics only break down quickly when processed by specialised industrial equipment; throwing them in the compost at home won’t work. There are also bioplastics which are fully oil-based but are biodegradable. Confused? So is the public. According to recent research in Germany, only 7% of people claim to “know exactly what bioplastics are”. Of these, 39% are convinced that the raw materials of which they are made are organically cultivated and 70% believe all bioplastics are biodegradable. Far from the truth. The intricacies of what a bioplastic actually is creates problems in collection, recycling and composting. Sorting between recyclable and non-recyclable, bio-based and oil-based, biodegradable, and mixed-source bioplastics is both difficult and expensive, worsening the already low level of plastics recycling. Disposing of biodegradable plastics isn’t as simple as it might seem. They need to be collected separately from other plastics, and sent to specific industrial composting facilities. However, as there is a widespread absence of both of these services in Europe, these plastics are usually sent to highly-polluting landfills or incinerators. If not, they are mistakenly thrown into ordinary plastics recycling, lowering the quality of recycled plastics. The plastic converters industry itself has raised concerns about this. All the labelling, regulations, perfectly-run collection systems, recycling and composting facilities in the world do not take away from the fact that making more bioplastics relies on increasing our consumption of finite resources. 5.7 billion tonnes of sugar cane are required to make just 1 billion tonnes of one of the most common forms of bioplastic, Bio-PET. This is far from efficient and is putting extra pressure on the planet’s limited resources. The impacts of growing EU bioplastics demand would also be most keenly felt outside of Europe – as with biofuels.With the production of bioplastics expected to more than triple in the next three years, a global land area of around 1.4 million hectares will be required by 2019. The rapid growth in production will mainly occur in Asia, a region where biomass production is associated with land degradation, habitat loss, reduced water quality, and land conflicts. Now is the time for the EU to get things right and ensure bioplastics do not end up following biofuels and causing even more environmental damage. The number one priority is the reduction in overall plastic consumption, in particular of excessive, unnecessary and throwaway plastics. 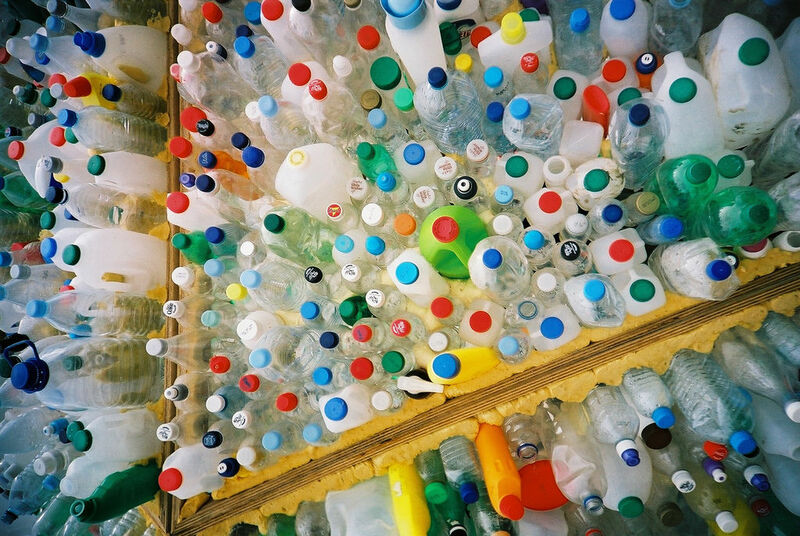 The current updating of the EU waste directives offers a key opportunity to ensure there are strong and binding measures to slash plastic use – including making sure binding targets on waste prevention and caps on residual waste are included. There can be no place for boosting plastic consumption in any form, including promoting bioplastics and other bio-based materials. EU member states can also act now by putting market restrictions on environmentally damaging products, such as single-use plastics. All this is not to dismiss the role that certain plastics and bioplastics play, and could continue to play, in our societies. However, it is vital that any development is based on consuming a fair share within the limits of the planet, on ethical and local sourcing, on resource efficiency, and on long-lasting circular design. These must be accompanied by clear and effective communications on what bioplastics are and how to dispose of them. To ensure this, further impact assessments of bioplastics are required – something noted by the European Commission itself in its Plastics Strategy Roadmap. MEPs and the Commission should take heed: the planet cannot afford them getting it wrong. Read the joint NGO position paper on bioplastics here .